In total, 130 single-level Viewliner II cars will be manufactured at the CAF USA plant in Elmira, N.Y.
Amtrak invited press and media representatives to Elmira, N.Y. in late October to tour the manufacturing facility where CAF USA is building the railroad 130 new single-level long-distance cars. CAF USA, the American subsidiary of Spanish railway manufacturing firm Construcciones y Auxiliar de Ferrocarriles, S.A, won the $298 million contract in July 2010. Leading the tour were Amtrak President and CEO Joseph Boardman, CAF CEO Andrés Arizkorreta, and Tom Carper, member of the Amtrak Board of Directors. According to CAF USA, more than 400 employees were hired to perform manufacturing and final assembly jobs, and parts have been sourced from more than 120 suppliers in 25 states. Boardman commented, "Amtrak is a major driver in the rebirth of an American rail manufacturing and supplier base that is strengthening our national economic health." 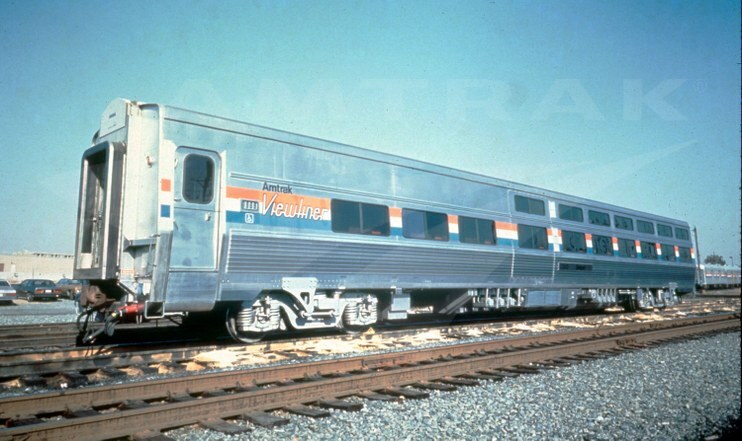 Known as Viewliner II, the stainless steel cars are modeled after the single-level Viewliner I cars built for Amtrak in the mid-1990s. The order includes 25 Sleeping cars, 25 Dining cars, 55 Baggage cars and 25 Baggage/Dormitory cars. Most cars will be deployed on eastern routes including the Lake Shore Limited, Cardinal and Silver Service, but the Baggage cars will be used across the country. A CAF USA employee working on a car interior. This new equipment is a key component in the Amtrak Fleet Strategy Plan addressing the long-term need for rolling stock and locomotives. Its arrival will allow Amtrak to retire older Heritage equipment dating from the mid-20th century. The new cars will also supplement the existing fleet to support growth across the national passenger rail system, improve financial and on-time performance and foster a more modern, progressive image for the railroad. After one of each type of car is field tested over the winter, the first units should enter revenue service in summer 2014. The full order is expected to be delivered by late 2015. Each car measures approximately 85' long, 14' high and 10.5' across at the widest point. Capable of moving at speeds of up to 125 mph, the Viewliner II cars will be interoperable with the Viewliner I, Amfleet II (long-distance), Horizon and remaining Heritage cars, as well as all Amtrak electric and diesel road locomotives. The Sleeping cars include 11 Roomettes, two Bedrooms and one Accessible Bedroom. 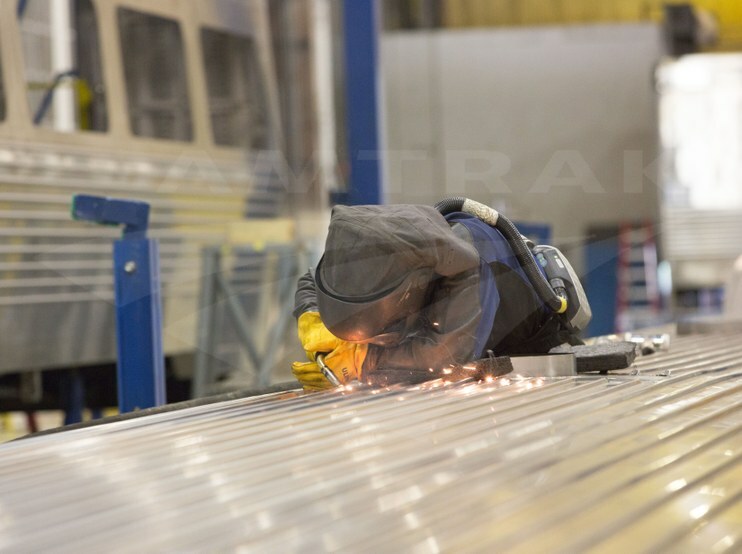 Interior components, which are installed in a modular system, are being manufactured separately by RailPlan. Unlike the Viewliner I design, the Roomettes do not include toilets; passengers will share two restrooms and a shower at one end of the car. The Dining cars seat 46 and include full-service galley kitchens; carts that roll on and off the cars allow for easier stocking via a side door. Bicycle racks have been added to the Baggage cars. Overall, the cars offer passengers modern interiors, improved lighting and more efficient air conditioning and heating systems. Amtrak leadership laid the foundation for the original Viewliner program in 1982. Although the Heritage equipment, some of which dated to the 1940s, had been overhauled and converted from steam heat to electric head end power, company planners knew that most of these units would reach the end of their useful lives by the 1990s. 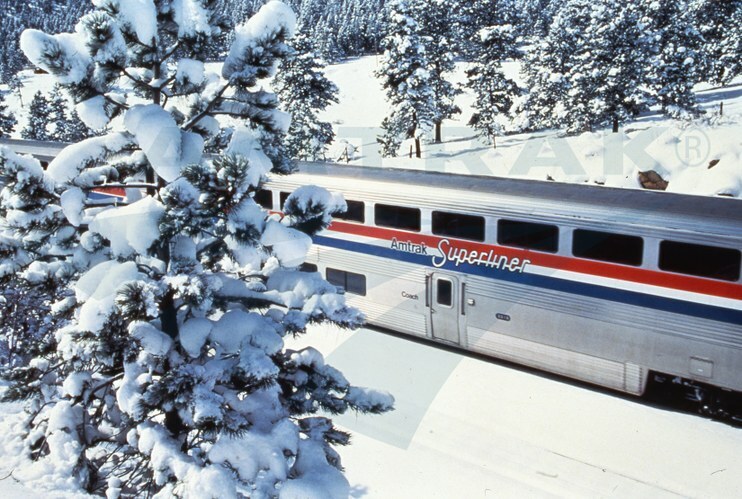 In 1979, Amtrak had introduced the bi-level Superliners, but at 16' high, they were simply too tall for many of the older tunnels in the Northeast. 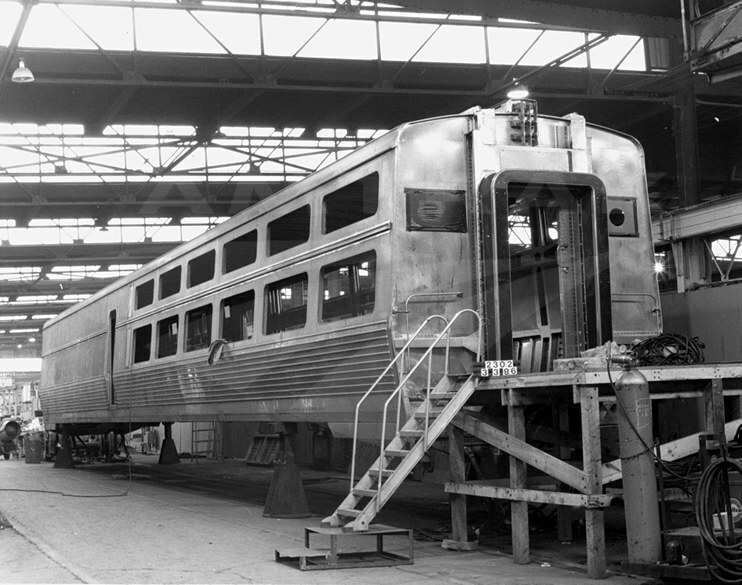 An interdepartmental task force composed of representatives from the Equipment Engineering, Maintenance, On-Board Services, Operations, Marketing and Planning departments was assembled to develop a “design concept that could be used for various car types [including] coaches, sleepers, diners, lounges, baggage cars and bag dormitory cars.”1 The group decided on two rows of windows so that lower and upper berths in the Sleeping cars have their own window. The extra windows have the effect of making the interiors seem more spacious and also provide wonderful views of the passing scenery. Budd manufactured the car shells for the prototype Viewliners. Taking into account these major ideas, the Equipment Engineering department proceeded with preliminary design for Sleeping, Dining and Baggage cars that would measure 85’4” long over the couplers and 14’ high. One standardized stainless steel car shell was developed that with minor modifications could accommodate all car types. It is widest at the belt rail—10’6” across—and then tapers towards the roof. Keeping with the idea of standardization, the fiberglass interior components came in modular units. In Sleeping cars, this meant that rooms did not share a common wall, thereby cutting down on noise and vibration to produce a quieter environment. A side opening measuring 84" wide allowed workers to slide components into the car for installation. Rather than having multiple workers operating in the tight confines of the car, the modular units could be assembled off-site and easily slid into place. Norman pointed to another benefit of this modular system: “If we run into a major problem with one of the [Sleeping car] rooms, we can replace the whole room…[allowing] flexibility in our maintenance.”4 The car design maximized revenue space by placing major systems such as air conditioning, toilet waste, water tanks and air brake valves below the floor. 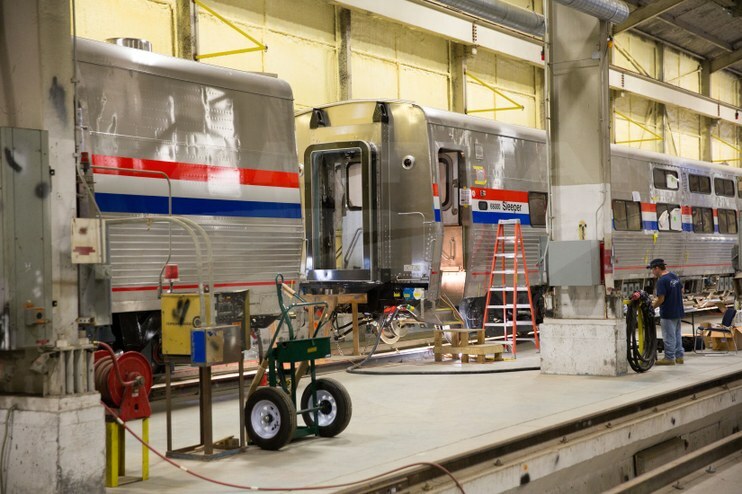 Once Amtrak completed work on the drawings and specifications, it solicited quotes from manufacturers to build three prototype units: two Sleeping cars and one Dining car. The Budd Company, which had produced the popular Amfleet cars in the mid-1970s, won the contract to manufacture the car shells, while Fiber Source of Salt Lake City made the interior modules. Amtrak installed system components from various companies in order to test designs and parts. 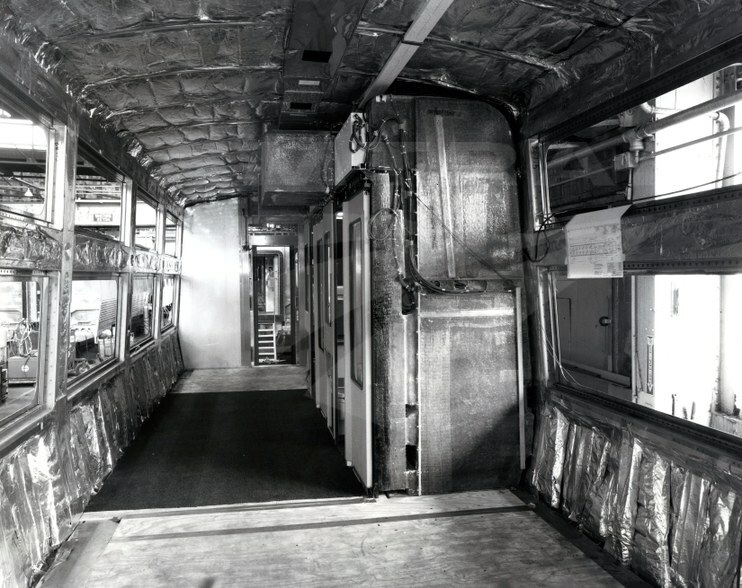 The prototype Sleeping cars featured 17 rooms (14 Roomettes, two Bedrooms and one Accessible Bedroom) that together accommodated 34 passengers—far more than the 22 typical of old 10-6 Heritage Sleeping cars. 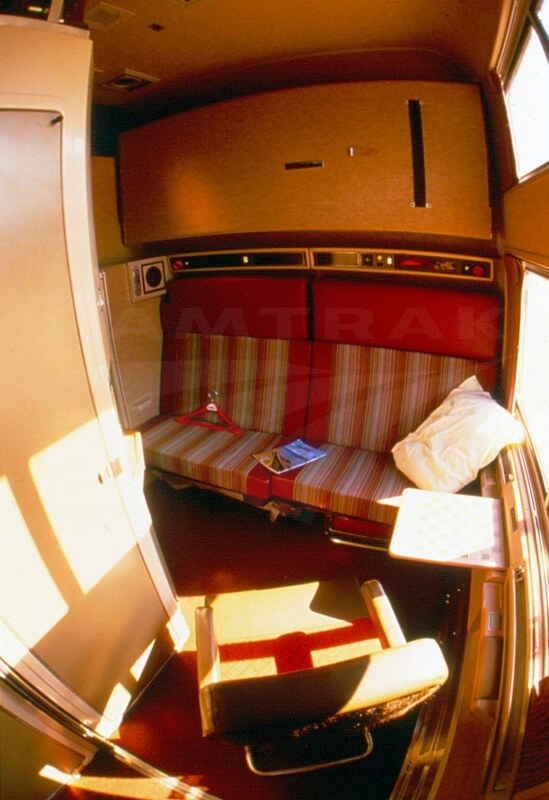 When the Viewliner Sleeping cars later went into production, two of the passenger Roomettes were eliminated to provide a shower facility and a room for the Sleeping Car Attendant. Budd sent the completed shells to the Beech Grove, Ind. shops between September 1985 and early 1986. 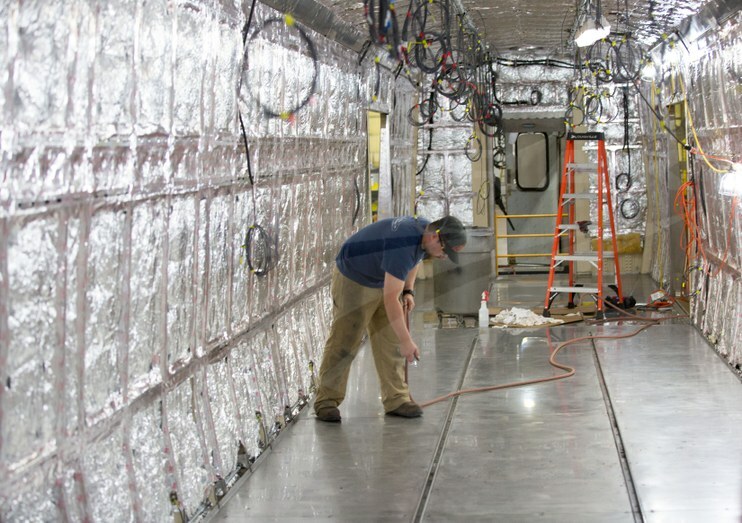 Amtrak employees then installed the interior modules, wiring and car systems. Following a period of extensive testing during which the cars were subjected to temperatures as high as 130F and as low as -30F, the prototypes were finally ready for use on revenue trains. Roomette with two reclining seats that convert to a comfortable bed; an upper berth lowers from the ceiling. A toilet and sink with fold-down covers act as the staircase to access the upper berth. Bedroom: Each room has a large sofa that converts into a bed, while an upper berth folds down from above. A chair sits opposite the sofa next to the window. The room also includes an enclosed bathroom with shower. A sliding partition allows the two Bedrooms to be converted into a suite. Accessible Bedroom: Designed for wheelchair users, each has two beds and an accessible washroom with shower that can accommodate the turning radius of a wheelchair. Although designed for two adults, both the Bedrooms and the Accessible Bedroom can also accommodate a small child. panel allowing access to the interior. Morrison Knudsen, which later spun off its transit car manufacturing unit as a new corporation—American Passenger Rail Car Company (Amerail)—delivered the first cars to Amtrak in fall 1995. The car bodies were built at Morrison Knudsen’s Chicago plant but assembled at its facility in Hornell, N.Y.7 As of 2012, all these cars were still in active use. The three prototype cars were removed from service in the early 2000s since they had some test components that were not included in the final production units. In 2011, the prototype Dining car was refurbished and returned to service. Explore additional images of the prototype Viewliner I cars and the Viewliner II assembly line. 1Engelhardt, Charles J. (1986). Amtrak’s Prototype Car Program: An Update. Washington, D.C.: National Railroad Passenger Corporation. 3Alfred Borcover, “Amtrak introduces new sleeper car,” The Chicago Tribune, Dec. 27, 1987. 6“Company News; Morrison Knudsen Awarded Amtrak Contract” The New York Times, Dec. 4, 1992.